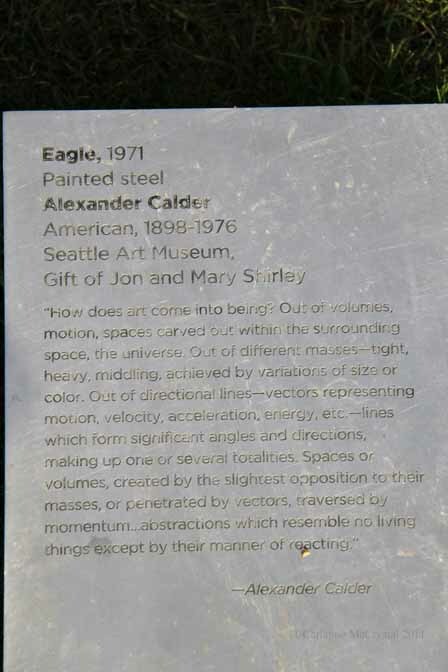 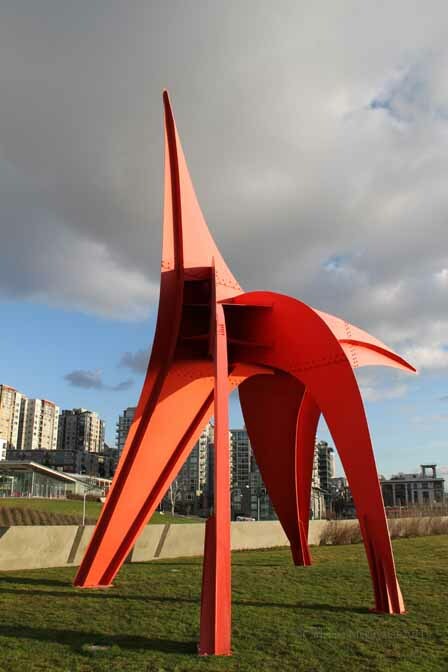 Eagle - Olympic Sculpture Park. 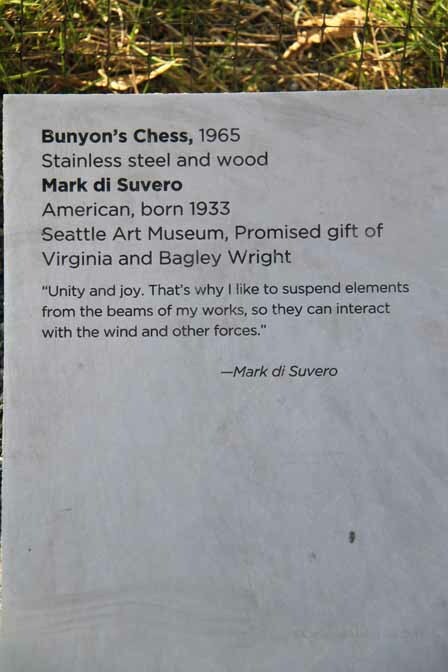 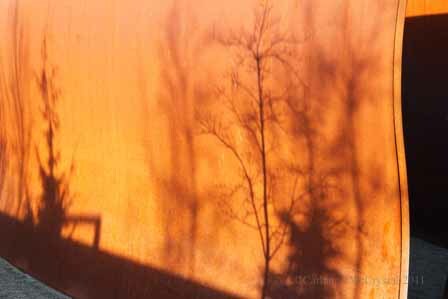 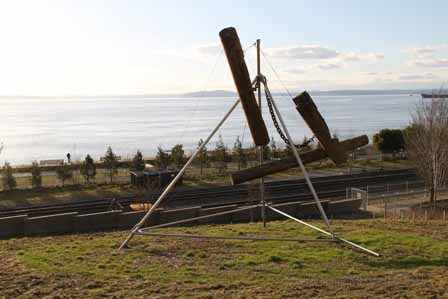 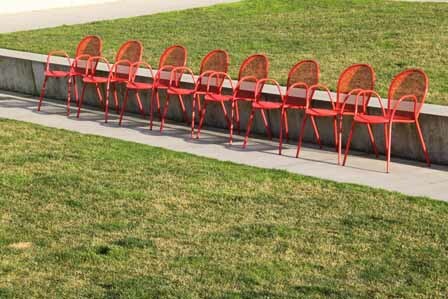 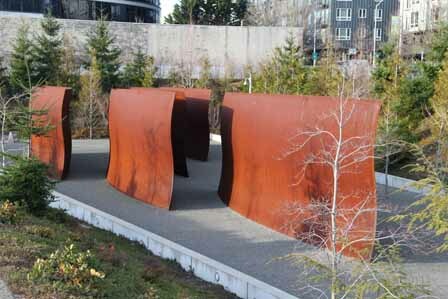 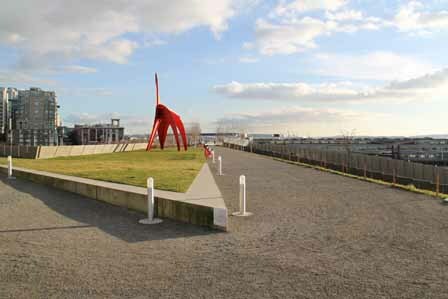 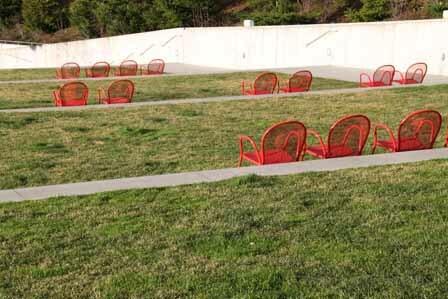 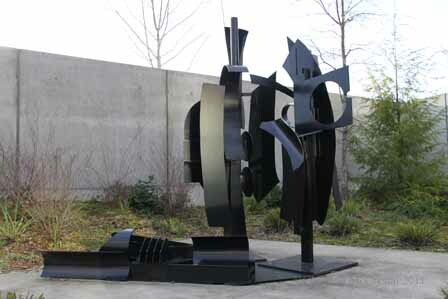 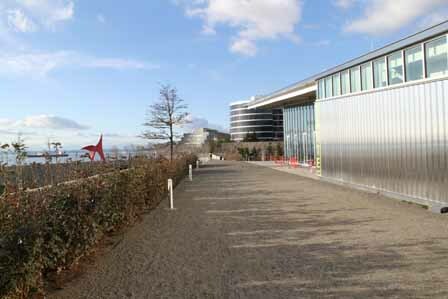 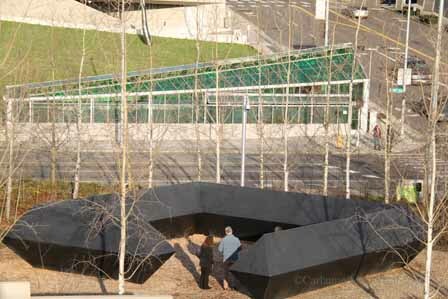 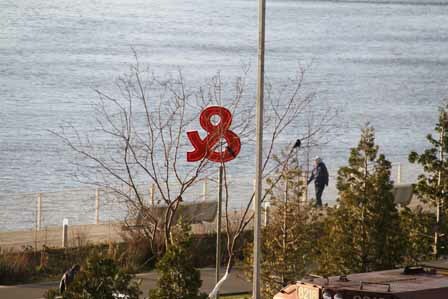 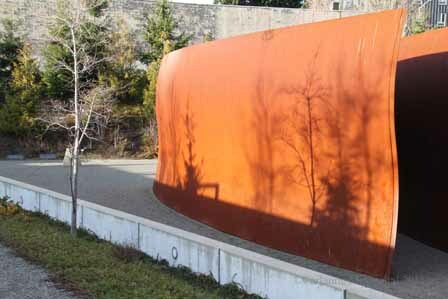 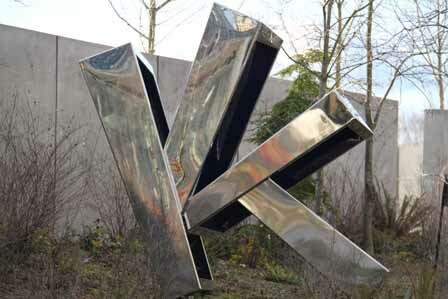 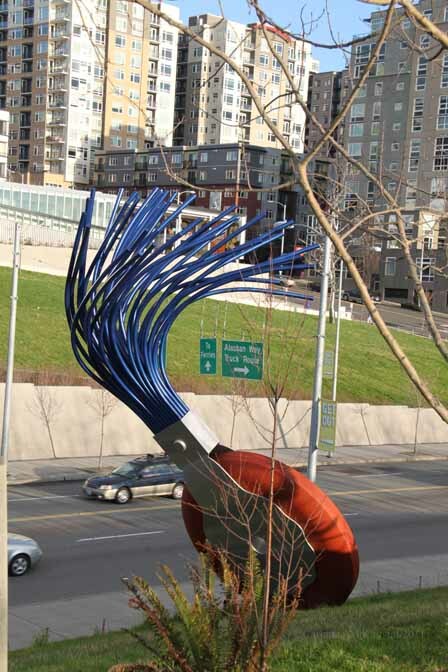 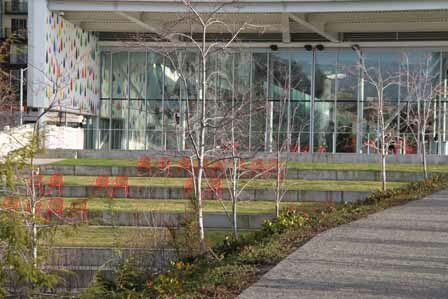 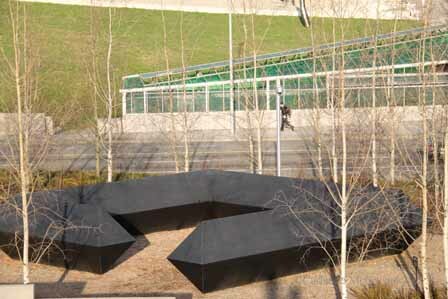 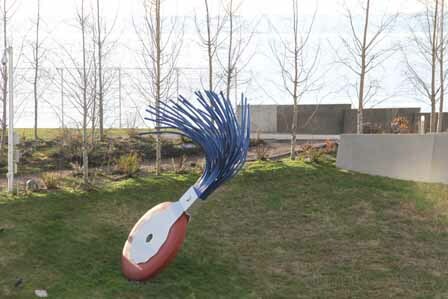 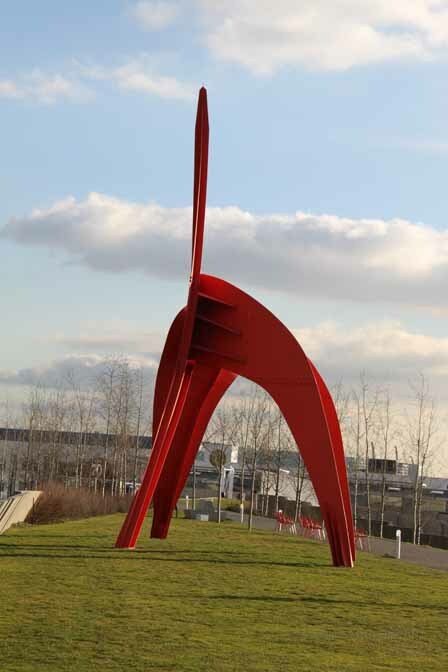 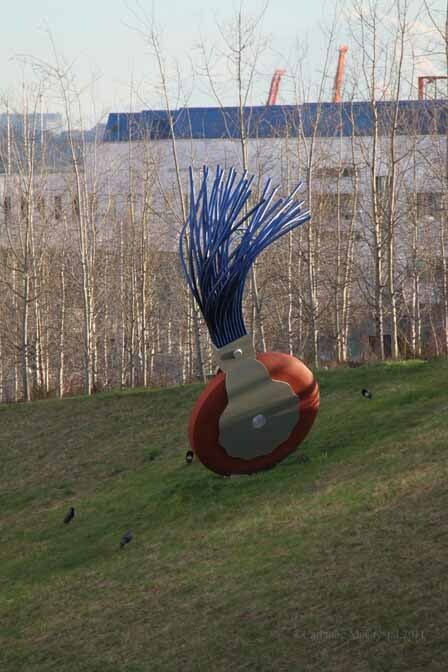 Seattle’s Olympic Sculpture Park offers visitors and locals both art and exercise, no matter what the season. 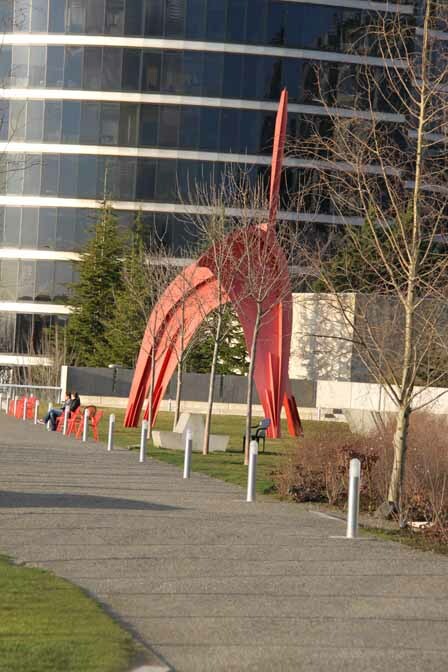 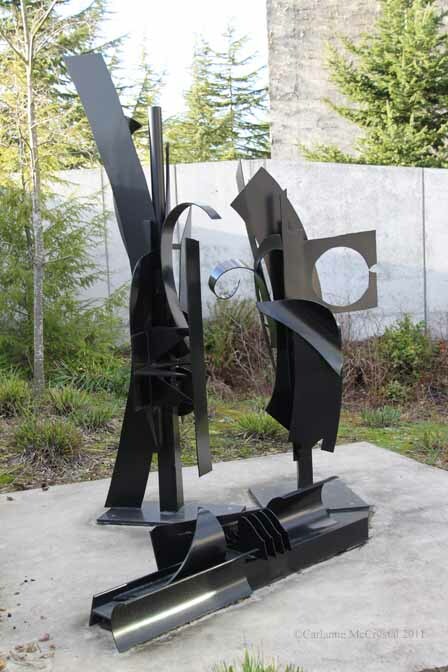 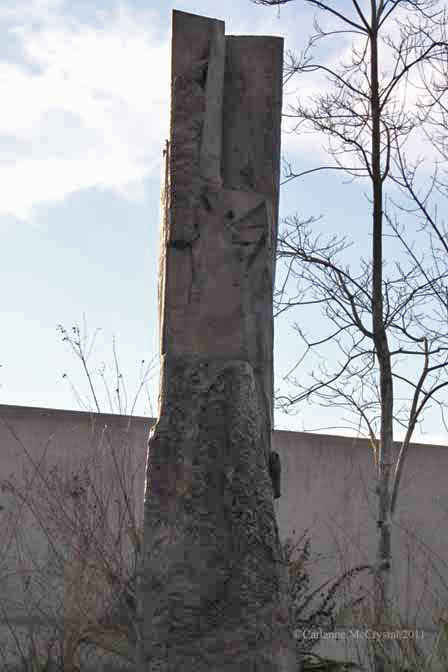 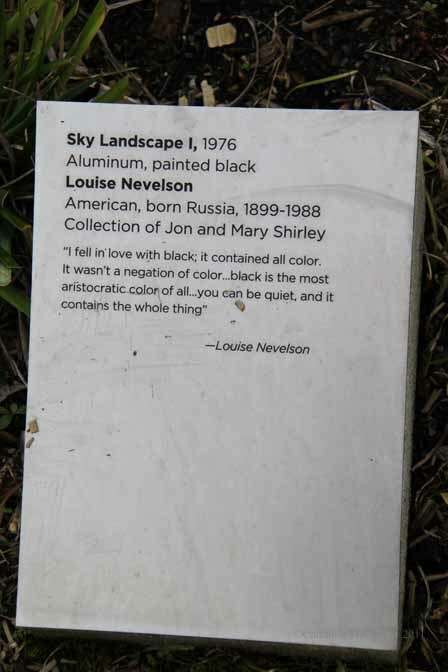 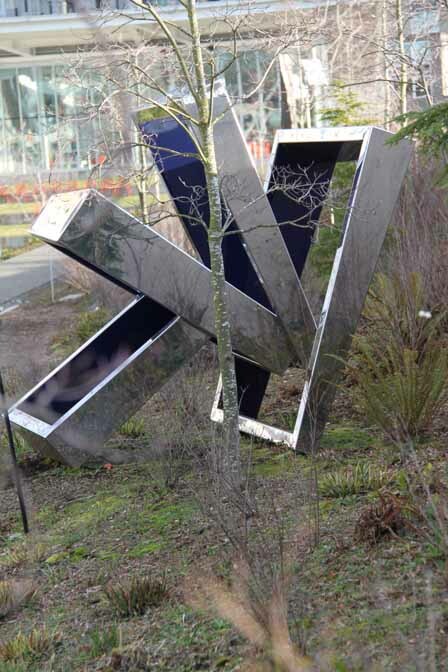 Pictures in this article were taken in late January at the park as multitudes of people walked the trails, admired the sculpture and watched the trains as they rolled through the park. 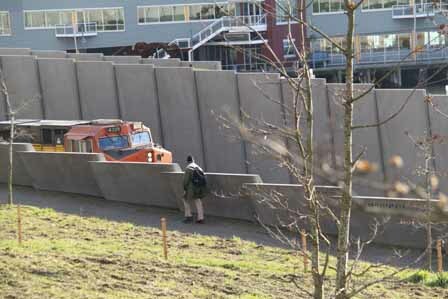 Yes, trains run right through the lower edge of the park as it goes along the waterfront. 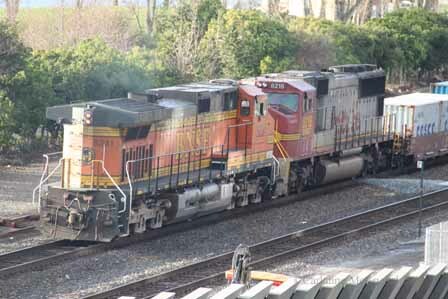 There are commercial train tracks and Burlington Northern trains roll past with their loads of supplies, headed for parts east. 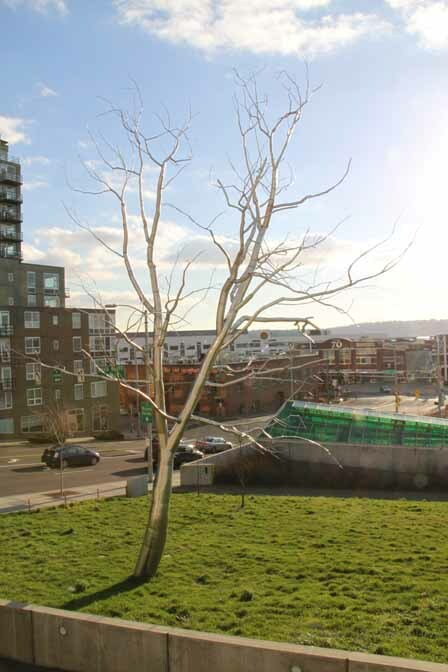 Amtrak also rolls along these same tracks with their hordes of passengers heading south from as far north as Vancouver BC, through Seattle and on to Portland, OR and points south. 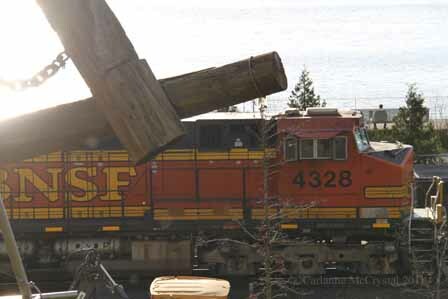 Even the Sounder rolls along from Everett to Tacoma as commuters take advantage of the commute time via rail. 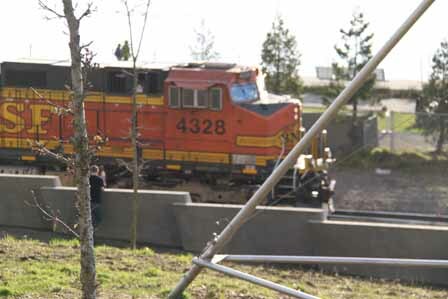 The park offers it all to railfans! 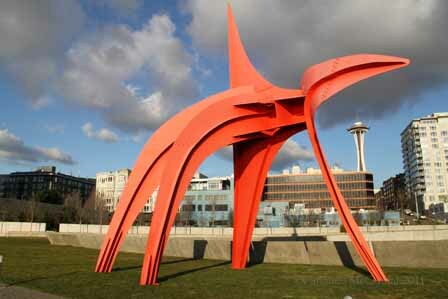 The sculpture is astounding with seating aplenty if you need a break from the hill climb from the waterfront. 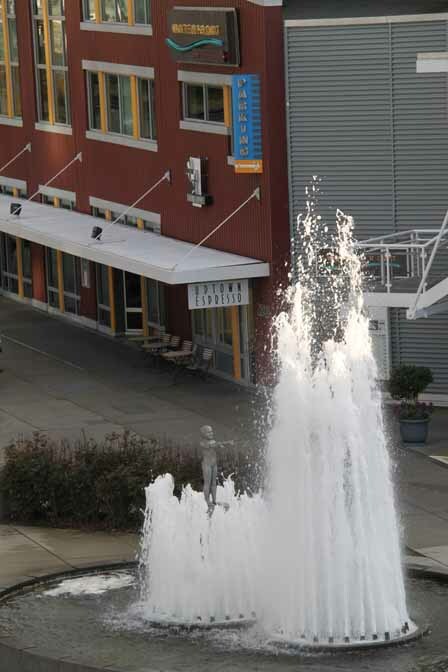 Your favorite latte can be found at the waterfront from Uptown Espresso or at the top at the cafe in the park. 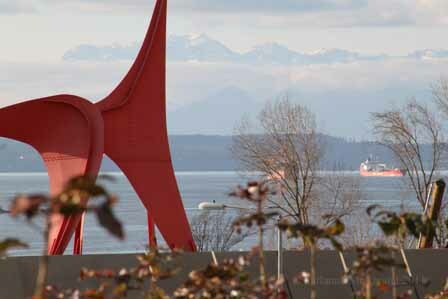 A perfect Seattle winter day with sunshine and moderate temperatures served up with a brisk and scenic walk.